Traffic signals were not working Wednesday night at a Dallas intersection where a couple was struck in a hit-and-run crash that killed them both. 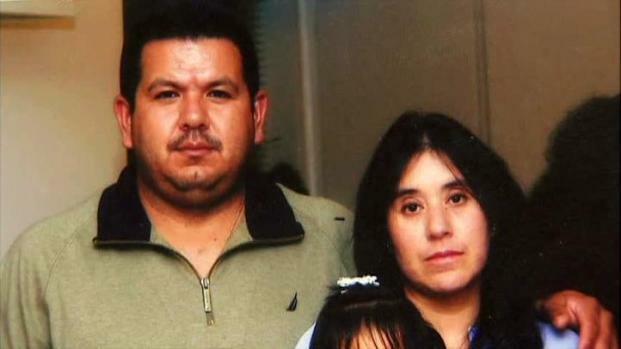 Yolanda Guzman and Rafael Valdovinios were broadsided on their way home from the grocery store at the intersection of Ferguson Road and Joaquin Drive shortly after 8 p.m.
Guzman was killed at the scene but Valdovinios survived the crash. He was transported to Baylor Medical Center where he was in intensive care until he passed away Friday afternoon. According to records obtained by NBC DFW, the city of Dallas was notified at 5:49 p.m. that the lights weren't working. A hit-and-run driver broadsided a couple in a Dallas intersection where the traffic light was not working. A technician was assigned the case at 5:56 p.m. But because of four outstanding calls, the light was not repaired by 8:07 p.m., when Guzman and Valdovinios passed through the intersection. According to the city, the light was repaired and was functioning again at 9:46 p.m -- nearly four hours after the outage was first reported. Jose Guzman, Yolanda Guzman's uncle, said he believes his niece would still be alive if the light was repaired on time. He also said he is grateful the couple's 3-year-old girl and 8-year-old boy weren't in the car. "She [Yolanda Guzman] always takes the kids with her everywhere she goes, and the kids [are] very attached to her, and that day they wanted to stay with grandma," he said. "Thank God that happened, otherwise we would have had a bigger tragedy." Police said they believe the driver of the other car didn't even slow down at the intersection, much less stop to offer help after the crash. Investigators said they believe the driver was likely injured, as well. "All we know is, it's a full size pickup, silver or white," Senior Cpl. Kevin Janse said. "The key is, it had a large brush guard and, based on severity of the crash, there is going to be damage to the vehicle." Anyone with information in the case is asked to call Dallas police.